Lowest price per square foot home available in Fairway Estates... Imagine the possibilities in this large 3 bedroom home. Great property for a FNMA Homestyle Remodel Loan!!! Picture yourself as you enter the front of the home through the double doors you are welcomed in to a large formal living and dining room with beautiful laminate floors. To your right is a casual family room that connects to the spacious kitchen. All 3 bedrooms are down their own wing of the house and can be closed off with a pocket door. The master bedroom has laminate flooring as well as its own bathroom. The other 2 bedrooms are ample sized and also have easy to care for laminate flooring. The 2 car garage is oversized with plenty of built in storage. As you enter the home from the garage you will have access to the large laundry room and a guest bathroom. The HVAC is from 2015 and the tile roof is approx 1989. Fairway Estates is a golf cart friendly community that is flanked on two sides by the Dunedin Golf Club, former home to the PGA and designed by Donald Ross. Beautiful Lake Saundra is the focal point at the center of the community and the neighborhood hosts parties at the park during the year for the residents. 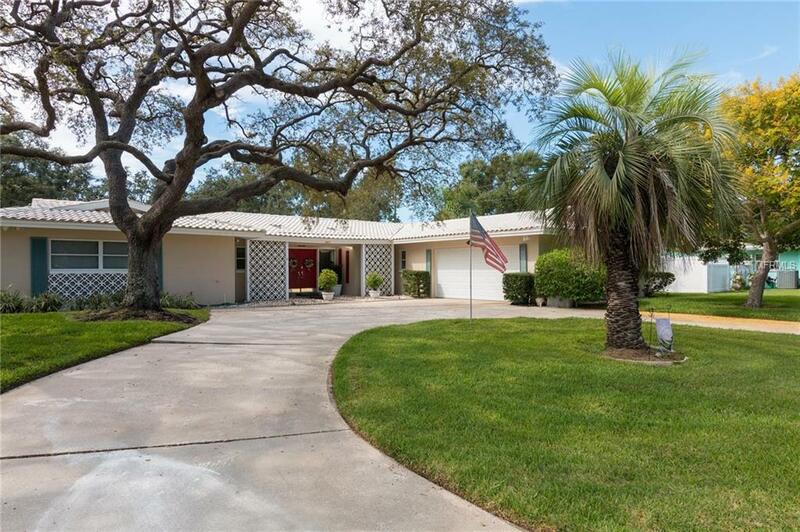 You will find yourself close to the Pinellas Trail, Dunedin Community Center, Highlander Park, Honeymoon & Caladesi Islands as well as a short golf cart ride to Downtown Dunedin. Listing provided courtesy of Re/Max Action First Of Florida.